I really mean it when I say that this double chocolate brownie bread is the BEST EVER I’ve ever made. I only other thing that comes close to it are these — real brownies. 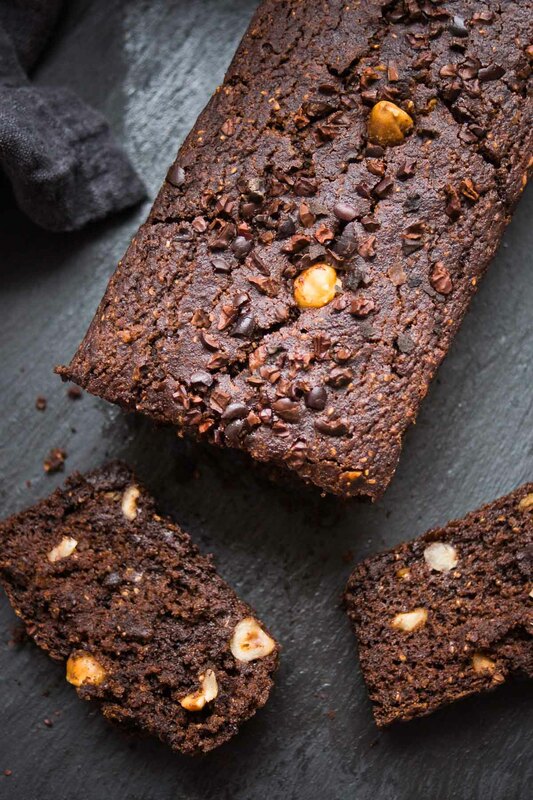 This chocolate bread is equally addictive, but a whole lot healthier. It’s made with spelt flour, just a little muscovado sugar to mellow out the flavors of raw cacao, coconut milk and puréed apples (YES! no butter here!). 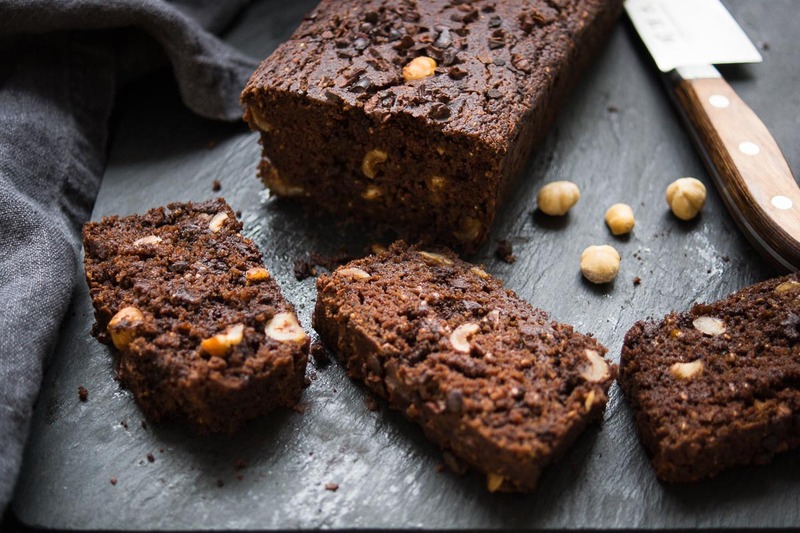 And to put the double in the double chocolate brownie bread, there’s my favorite dark chocolate (70%) and roasted hazelnuts cause they were born for chocolate. Oh yeah, did I mention it’s vegan? That’s kind of a side note though. First things first, this recipe is something everyone brownie lover adores and it’s incredibly easy. Taadaaa! I have made this bread countless times…more apples, less apples, chia seeds, no chia seeds, even a chia egg (that’s just 1 tablespoons chia seeds soaked into a gel with 3 tablespoons water — the perfect egg replacement!). This recipe for the best ever vegan chocolate bread is my favorite version. However, i will tell you, that what I learned in the process of creating this recipe is that it is very forgiving. If you used a little too much apple you can bake it longer. Saved. Which is exactly why I like to add chia seeds. They manage to soak up some of the extra moisture, without drying the bread up. Ground psyllium husk also does the same — and its a perfect and natural way to step up your fiber intake. Yes, we are talking brownie bread here, so we want it to be moist and intensely chocolatey. We’re talking, chocolate dreams come true. This chocolate miracle bread is insanely easy to make. Start with your dry ingredients, all whisked together. Then use an immersion blender or food processor to puree the apple with the coconut milk. 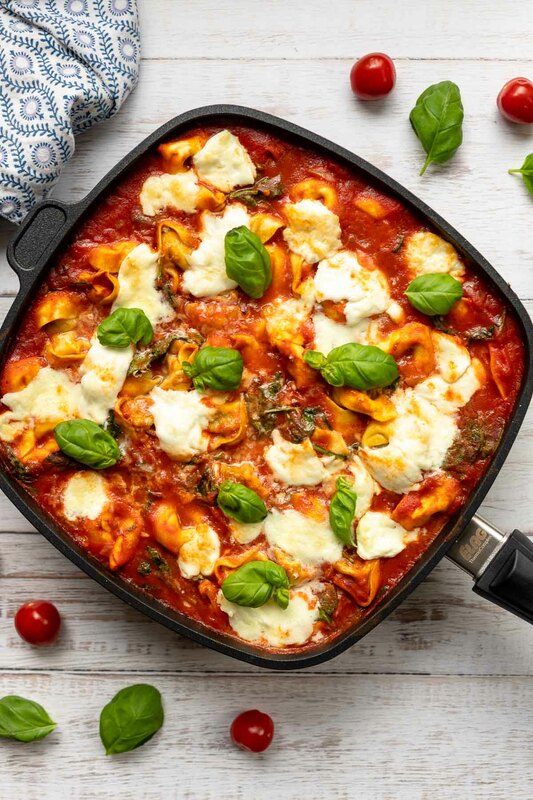 Both of which take the place of butter or oil in this recipe; there is simply no need for extra added fat. Then simply stir up the wet and dry ingredients until combined. The last thing you’ll add? Chocolate chips and roasted hazelnuts of course! Pour into the loaf pan, then let the magic begin! This Chocolate Brownie Bread is a delicious cross between a brownie and a quick chocolate bread. Apples puréed with full fat coconut milk give this chocolate bread lots of moistness, almost like a cake! Naturally vegan. Preaheat the oven to 180°C degrees. Grease a loaf pan with coconut oil and cut out strip of parchment paper and lay inside tin, covering the base and long sides (the coconut oil, helps keep it in place). In a bowl, mix all the dry ingredients, EXCEPT the chocolate and nuts. Whisk together to combine. Place your chopped apples and coconut milk in your food processor (or use an immersion blender), and mix until you get an apple sauce. Pour the apple sauce over the dry ingredients and stir with a spatula until just combined. Do not overmix. If too dry, add a tablespoon of unsweetened plant-based milk. Fold in the chopped chocolate and nuts. Pour the batter into the prepared loaf pan. Garnish with cacao nibs and a few hazelnuts (optional). Bake for 1 hour, or until a toothpick inserted into the center comes out clean. Keep in mind there is melted chocolate so you made need to test a couple times. NOTE: baking can vary slighty depending on how juicy the apples are and the cream content of the coconut milk. Sometimes, I have needed to bake an additional 10 minutes. Also, this bread is meant to have a similar consistency of brownies, so it will be more moist than standard bread. Remove from oven and let cool on a rack for 10 minutes. Remove the chocolate browni bread from the loaf pan. Return to the rack and let completely cool before slicing. Baking time can vary slightly depending on size of apples used, so I try to stick to 270g as the net weight after peeled and cored. The mixed batter will be quite moist, as the this bread is meant to have a similar consistency to brownies when fully baked. Test with a toothpick and bake until it comes out almost clean. When I have used extra apples, it has taken up to 15 minutes longer. I use organic vegan chocolate for this recipe. Either GEPA or Vivani. For this recipe I use an Emile Henry 30,5 x 13,5 x 8,5 cm ceramic loaf pan. If you make this Double Chocolate Brownie Bread recipe, I’d love to hear how it turned out for you! Be sure to rate it and leave a comment below to let me know! Especially if you have tips for other readers. Or take a picture and tag me on Instagram @ellerepublic and don’t foget to hashtag #ellerepublic so I don’t miss it!